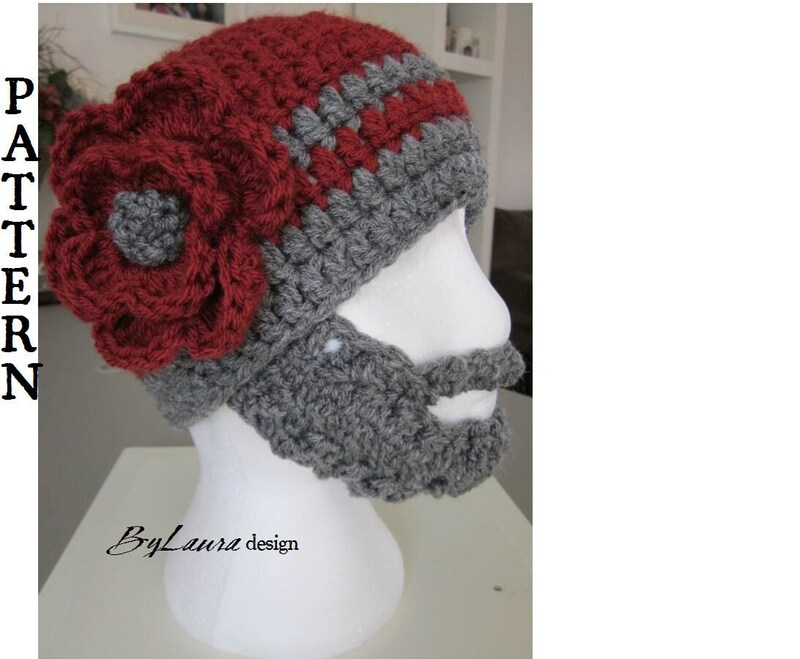 Intermediate PATTERN for the Bearded Babe has pages of detailed instructions, tips and pictures to make your beard-making experience as easy as possible! The Beanie and Beard were designed to fit most average women's measurements! The Beanie has a 21" unstretched circumference and 8.5 to 9" from center of head to below the ears. IF NEEDED SENT THROUGH EMAIL again please email me at bylauradesign [!at] gmail.com.